Welcome to this week's edition of Frugal Friday! Last week's party was so much fun! Just full of inspiration! Make the Best of What's Around shared her darling Salt Dough Starfish. So clever! Finding Home shared her pretty summer mantel. I love how she used the mason jar lids as part of the garland! 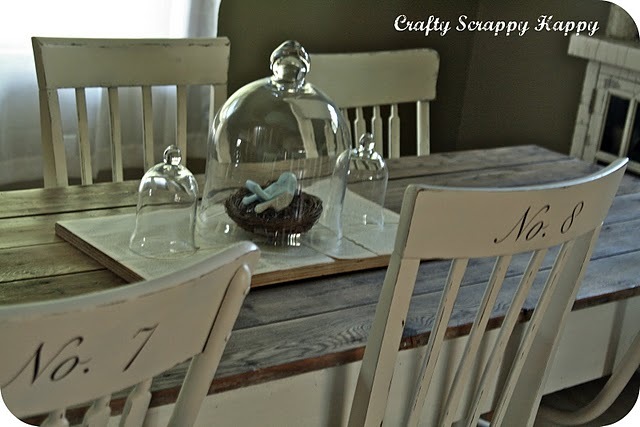 Crafty, Scrappy, Happy shared her beautiful upcylced farmhouse table. LOOOOOVE IT! Finally, Cottage Living - Beach to Burbs shared her beautiful beach kitchen. 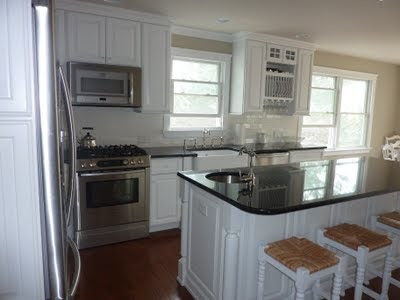 I just love me a white kitchen! 3. Please leave comments for the authors of the posts you visit...help our participant "feel the love!" I knew I should have bought that glass cloche today! Love the table arrangent. Will have to shop tomorrow-sigh. Thank you so so so much for featuring my table today with all of the other amazing projects!!! I am squealing that is how excited I am!!!! Thank You!!! Hope you are doing well! 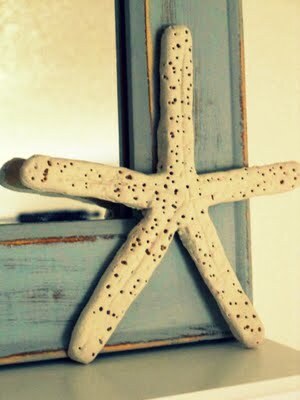 Thanks for hosting Wendy... that salt dough starfish is TOO CUTE! Oh my goodness! Your blog is one of the first I started following & I have been looking forward to a feature one day :) Yay for today!!!!!! I'm so glad you liked the starfish. Thank you so much! Have a wonderful weekend. So sorry...didn't mean to post 3 times!!! It kept giving me a weird message. Oops! Thanks for hosting!! 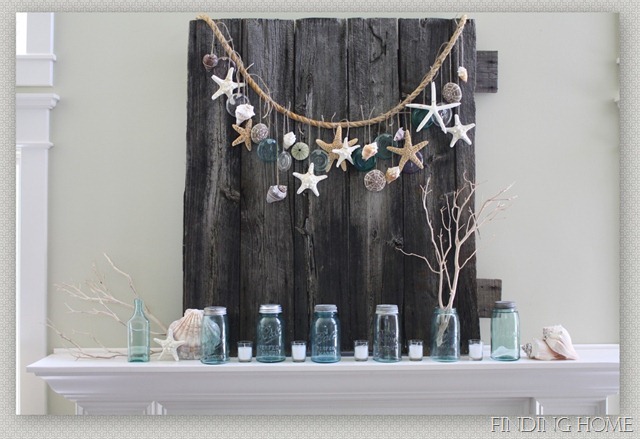 I'm loving all the beachy projects showing up at the linky parties.. Love the table and kitchen!.. Thanks for hosting.. sorry I posted twice, it's doing a weird error message when you select a photo. So many great links..thank you for hosting again. Thanks for hosting. I love that kitchen photo! Thanks so much for hosting, I love seeing what everyone's up to. Just posted my chocolate chocolate chip cookies! I would love it if you came over and posted something on my hop. Have a great day! New follower here, and thank you for hosting!! I am currently hosting my very first blog hop party, would love a visit! Wendy, thank you again for hostessing!